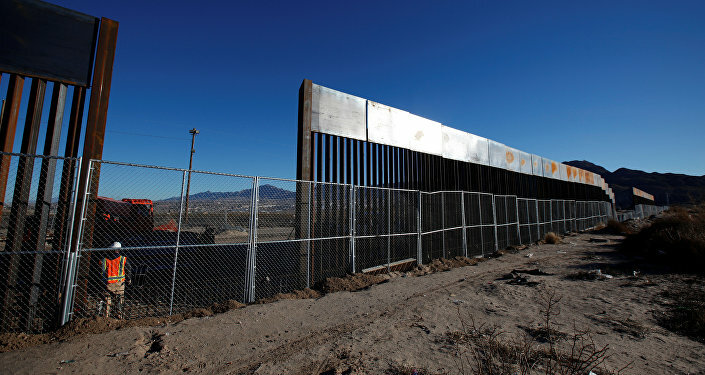 Mario Alvarez, 42, of Mexico, who was arrested by CBP on March 22 and subsequently released, said he had to wait an entire year before he could enter the United States because of visa restrictions. In the meantime he worked in Reynosa, a Mexican border town across the Rio Grande River, when members of a drug cartel kidnapped him. "I was working in Reynosa and right there some people kidnapped me and obligated me to come over here [to the United States]," Alvarez said. Alvarez explained that he and a 28-year-old Guatemalan native named Carlos were abandoned by smugglers and had not eaten for two days. Natividad Jesus Oliva-Pacheco, 35, of Honduras, told Sputnik that he and his 16-year-old son embarked on a dangerous month-long trip to enter the United States because they were threatened by criminal organizations. The two were apprehended by US border patrol agents, also on March 22, along with eight other undocumented immigrants considered family units. "They [gang members] say if you don't help them sell drugs, they will kill you, they'll shoot you," Olivia-Pacheo. "It’s tough." On Monday, Mexican Foreign Affairs Secretary Luis Videgaray and US Homeland Security Secretary Kirstjen Nielsen met in Mexico City where they discussed immigration and border security issues, the US embassy in Mexico said in a statement. Later in the day, the Mexican Foreign Ministry announced that the two countries signed three agreements to facilitate cross-border trade, including related to cargo inspections and compliance. Last week, Trump signed a spending bill that includes $1.6 billion in appropriations to construct a wall on the US-Mexican border. Curbing illegal immigration, combatting drug trafficking and cracking down on transnational gangs have been some of US President Donald Trump's signature pledges on the campaign trail and during his presidency. The Rio Grande Valley sector, located near the Mexican border in southern Texas, leads the nation in cross-border alien and drug trafficking, according to US Customs and Border Protection data, with a total of 137,562 arrests in 2017.